A follow on from yesterdays shot, taken with a phone, I didn't take my camera with me. This is my grandson and the photographer who eventually, after much mithering, gave in to the big blue eyes and let Joshua take a photo of Mummy and Daddy. What a lovely shot - a 365er in the making! A very sweet shot that you have taken here Suzanne. I remember my last trip to a village near Bethlehem. The children were so excitedly clambering to borrow my camera all the time with their hands covered in building dust. I was so reluctant, but in the end just couldn't say no. They had so much fun! Deepest capture. So nice and patient of the photographer. I love how this shot tells a story. A budding photographer for sure. So glad Joshua got to take a picture! It's wonderful how a phone can catch a moment - and there's no pressure to produce a perfect image - What a great hobby! Lovely shot. My grandson (10yrs old) loves nothing more than to lug my camera backpack when we go walking/exploring in the hope of being allowed to use 'the big camera' every now and again. Waiting for him to join 365. Adorable shot. This is a good follower of the other shot. just lovely and hope he will continue his interest in photography. Lovely capture. A potential David Bailey there Suzanne. 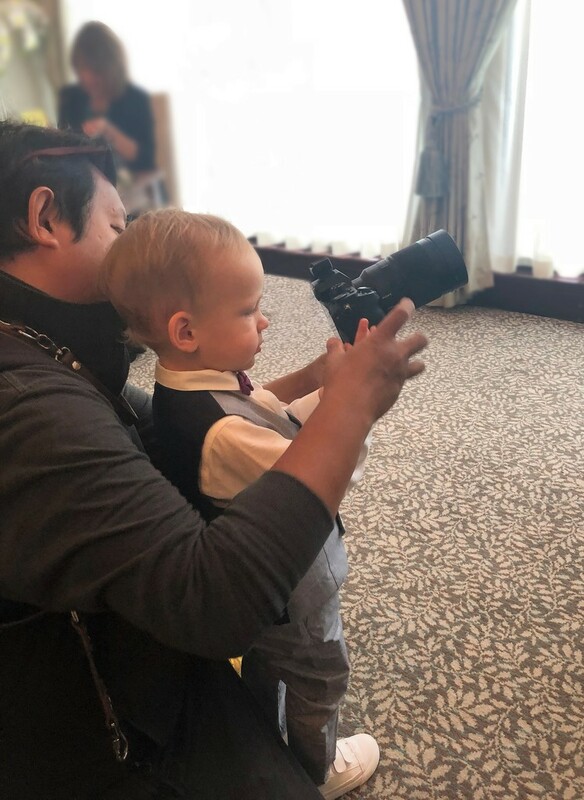 Never too young to start using a camera. A future professional no doubt.